Buyers Guide, : Mettler Electronics Corp. Buyer's Guide > Electrotherapy > Mettler Electronics Corp. This year the SpineGym® core exerciser and the groundbreaking Sys*Stim® 240 neuromuscular stimulator with optional light therapy are featured along with the new Sys*Stim 228. 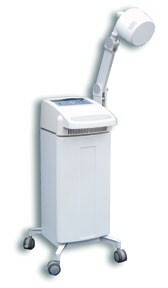 They are featuring Sonicator® Plus combination units, Sonicator® therapeutic ultrasound, Sys*Stim neuromuscular stimulators, Auto*Therm® shortwave diathermy and G5® Massage Machines. They also sell Polar Frost® pain-relieving cold gel.